← Birds Are Ruining My Lawn! We’ve all heard our state is in the worst drought in a long-time. As landscapers, that should strike fear into our self-employed hearts, right? Surprisingly though, Aeratorman.com is finding an opportunity to be of more service to our customers than ever! 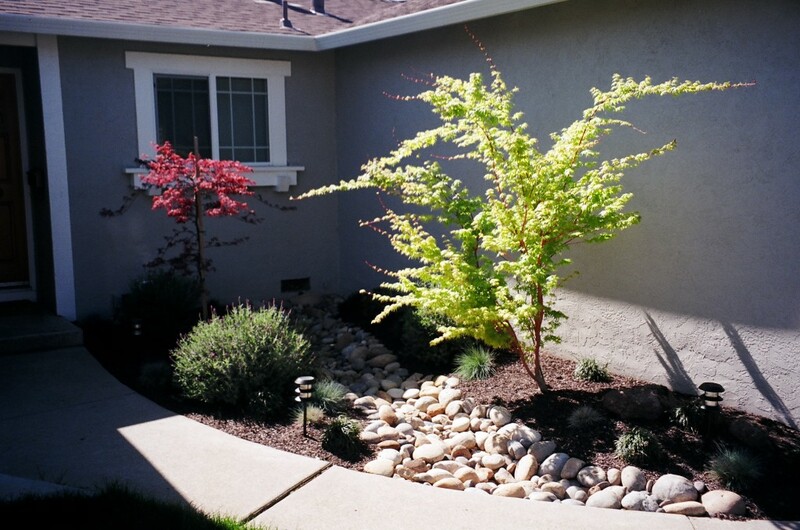 The goal during the drought is to keep your landscape alive with as little water as possible for as long as needed. Since the green plants (and lawn) give back oxygen and keep your home (and planet) a little cooler, it makes little sense to let everything die since the devalues your home. Covering greenscape with concrete or plastic turf is not ideal either since since adds to the warming. A little action now can prevent you from going on an expensive landscape journey later. SPRINKLERS – Check your irrigation system carefully for leaks and uniformity of coverage. Repair as needed. A monthly walk of your system is the best idea. 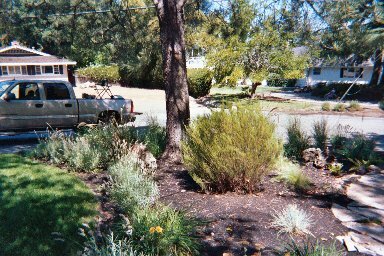 WATERING – In general for the drought, set your watering for lawns to 2x/week, very early morning (3am-8am), for about 10 minutes; other landscapes can set to about 5 minutes twice a week. 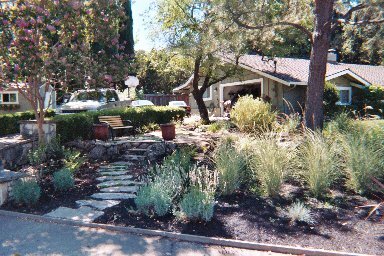 Start reducing now so when the heat hits, your landscape has adjusted. This adjustment will NOT keep everything vibrantly healthy, just alive enough to come back at some point when watering restrictions have eased. LAWNS – Mow high with very sharp blades at least once per week and leave clippings. Fertilize less frequently since actively growing plants use more water. Keep traffic on lawn to a minimum to avoid soil compaction. 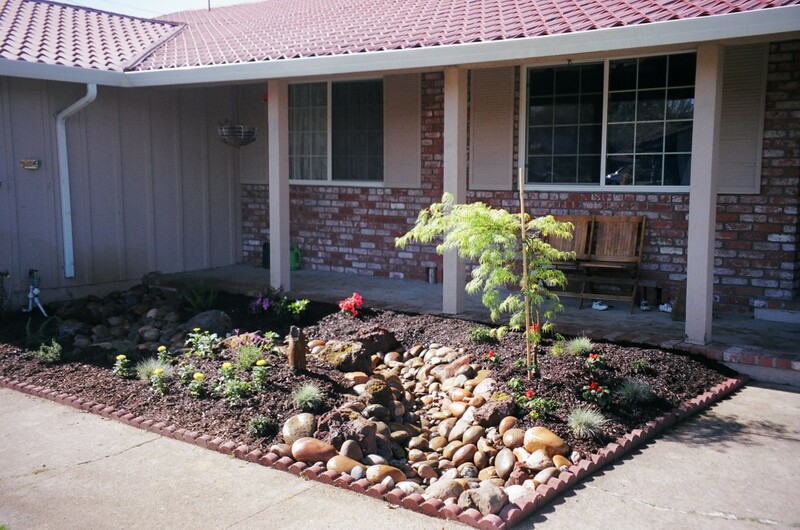 RE-LANDSCAPE – Replace some or all of your lawn with drought-tolerant landscaping. 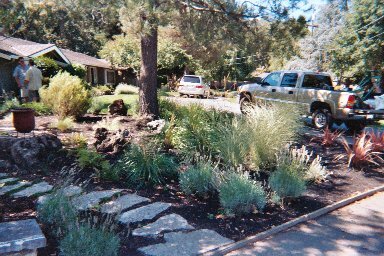 Native shrubs and groundcover require drastically less water than lawns. 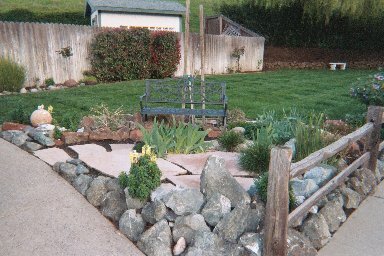 You can also incorporate some natural rock, decorative gravel or flagstone into the re-landscape. When done well, these water-friendly resources provide beautiful “art” and add to your home’s overall value. Definitely be sure to re-bark planting beds ASAP. 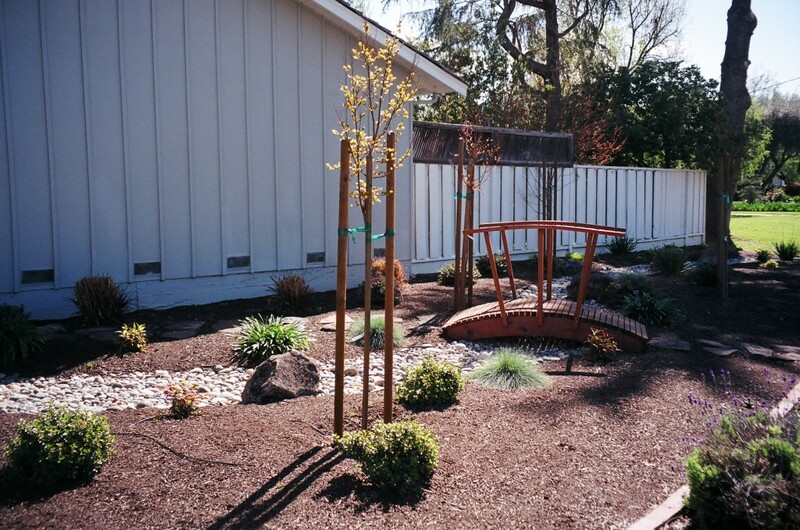 Good bark or mulch helps preserve wetness in the soil. Be sure to take a look at our portfolio section to get some great ideas. As always, Aeratorman.com is here to help!